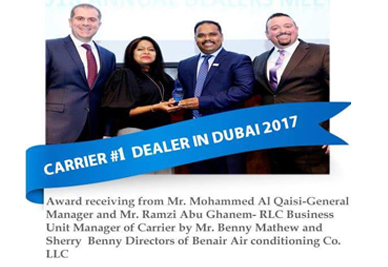 Benair Air-conditioning Co. LLC has proven to be one of the leading Air-conditioning Contractors in the region since its incorporation for the past 18 years. Our edifice being built upon utmost customer satisfaction, competent performance and reliability has gained us good Reputation in the entire Emirates and KSA within a short span of time. Benair undertakes various contracts for the design, supply and installation of air-conditioning systems for all the commercial, industrial, residential buildings and villas. Fifteen years of our expertise in the air-conditioning contracting field is our core competence which makes us unique and always the first choice among our clients. Benair is proud to have a well-equipped and efficient maintenance team, who are equipped to trouble shoot and preserve any kind of air-conditioning devices. 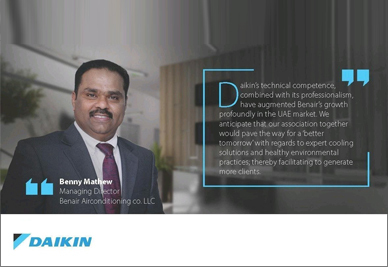 Benair offers 24/7 assistance for any breakdown or cessation so that our clients shall always stay cool. 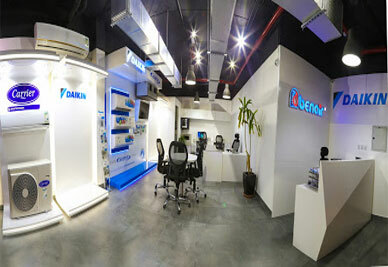 Benair Air-conditioning Company has branches in Dubai, Sharjah, Abu Dhabi and KSA. 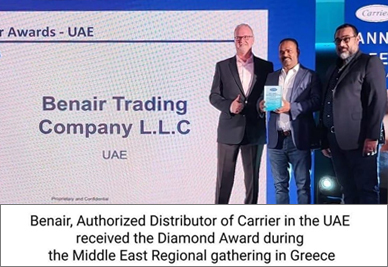 Benair Air-conditioning Co. LLC Proudly announce that we have received the prestigious ISO 9001:2008 Certificate for Design, Supply, Installation, Commissioning and maintenance of Air-conditioning Projects. 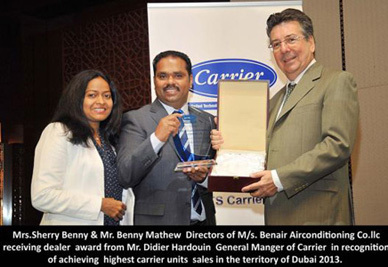 We thank all our customers for their continues trust on us.